As CPN UML supremo and the candidate from the Left Alliance, KP Oli headed for the post of the executive head of the state, the aura of new era was introduced through every parliamentary ritual last Sunday during his address. 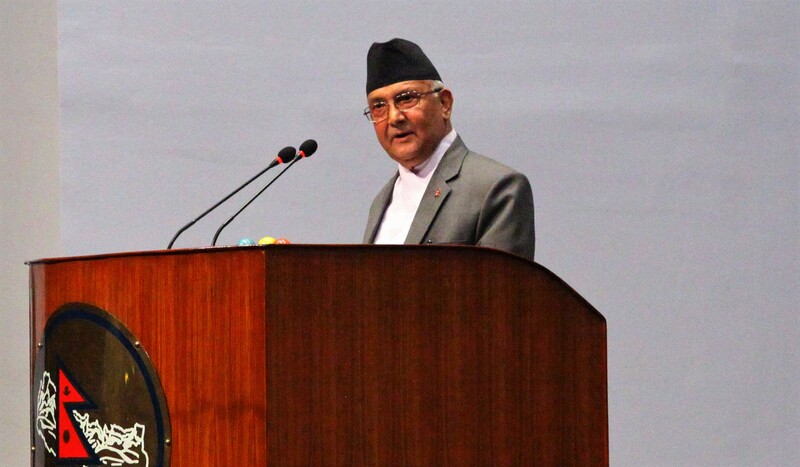 The reception of the three-fourths majority at the 275-member resilient House of Representative constructed Oli to emerge as the most powerful executive head of the nation for the first time. He was not only highlighting the promises that the spectrum of the grand Left Alliance had minted during the last general election but he was also unfolding how he and his allied team would devise the strategies and the tools to execute the policies in order to translate them into reality. No sooner had the Rt. Honorable Chair of the House decoded the 11th coupled with 16th Roman alphabets following the word initiating with 19th one, than the honorable palms began to hit the wooden panel in unison indiscriminately. There was no polemical tone let alone hawkish gesture intimidating the resident evils. He produced himself with his usual anecdotes full of humor and satire against the perceived political antagonists within and beyond the parliament. The hazy climate of inaction, interposition or nullifications diagonally rooted deeper into the government institutions looked cleared as the verbal missiles propelled with the precise ironies and humorous analogies began to get dispatched. The signature look of KP Sharma Oli –sharp eye contacts and slight raise of the eye brows while addressing to the honorables whipped across the already battered faces of the leaders in the opposition. He was quite economic in his choices of the terms with perfect inextricable hilarity ruling the contexts. Those who got his points literally, banged the tables in front, but those who faced great exertion just find the real cause of humor, were loitering their gazes all around simply relieving themselves with the regrets of getting bored among the vociferous faces of the fellow parliamentarians. Had they been well aware of any obligation of engendering gestures while attending the parliamentary meetings, they should certainly have opted one of them swiftly. Their obvious bewilderment was loudly manifesting unpredictability of the fate of the new system that Nepal had recently embraced. Newton's second law of motion can be seen working pretty well in this instsance. 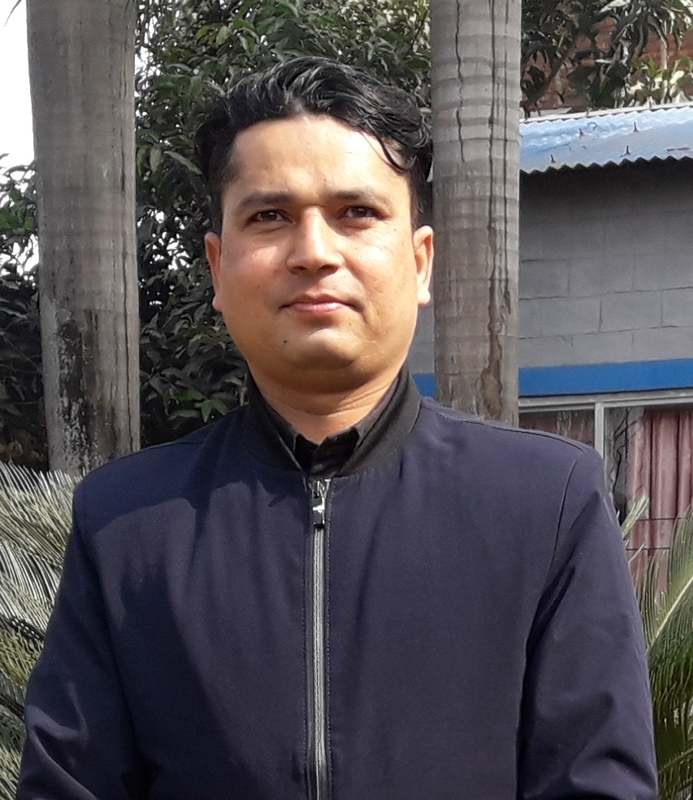 The acceleration of the socio-economic developments during the Oli government is dependent upon two gigantic political variables - the net force of CPN Maoist Center acting upon the political objectives of the Left Alliance and the expectations of the idle mass of the Nepalese youths. The acceleration of the socio-economic developments depend directly upon the net force of CPN Maoist Center acting upon the political objectives for the vitality and the longevity of the Left Alliance, and inversely upon the irresolute work-shy mass of Nepalese youths. As the force of CPN Maoist Center acting upon the Oli Government is increased, the acceleration of the socio-economic developments is also increased. As the expectations of the irresolute work-shy mass of the Nepalese youths is increased, the acceleration of the socio-economic developments is decreased. However, for a long but uncertain while, KP Sharma Oli-led government looks quite confident and proactive with robust agenda to uphold the social justice, equality, peace and social harmony across the diverse socio-cultural paradigms of the country.